Viewing only Posts from the Compilations Category. Dave Lilley and myself have been dancing a jig and a half of joy over the weekend as DOUBLE YELLOW – FEED YOU (AMBIENT JAZZ ENSEMBLE REMIX) was released on the legendary CAFE DEL MAR series, Volume 22 no less, based on the famous IBIZA bar. Available on CD and DOWNLOAD you can get your lug holes around the whole comp by heading over to the CAFE DEL MAR WEBSITE!! You asked for it (I think), they did it (for sure!). 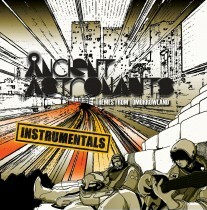 Finally hitting the digital streets is the INSTRUMENTAL collection from the recent ANCIENT ASTRONAUTS remix compilation THEMES FROM TOMORROWLAND. Released on the wonderful SWITCHSTANCE RECORDINGS outta GERMANY, the compilation features a lucky 13 tracks, all vocal free, including the remix I did which, to be fair, was instrumental to begin with, so another outing for that! Curious to hear it? Head over HERE!! Curious to buy it? Move over THERE!! 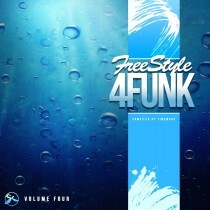 Quick mention that my remix for German DJ QUINCY JOINTZ of his track ROCK ON track was rereleased last week on TIMEWARP RECORDS as part of the 4th volume of their FREESTYLE 4 FUNK series. With the new ALS2 release I forgot to do a post – so here it is!! You can check the remix out at my SOUNDCLOUD and you can check the rest of the compilation (31 tracks in total!!!!) over at the TIMEWARP BANDCAMP. 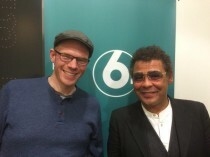 Big thanks to CRAIG CHARLES and his team for having me on his BBC RADIO 6 MUSIC show on Saturday night to launch my new A LITTLE SOMETHING RADIO VOL.2 compilation with an interview and guest mix.